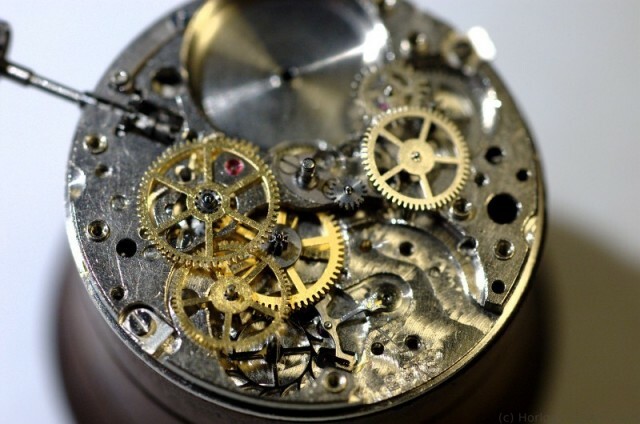 In Soviet Russia a wide range of movements were produced over the years. 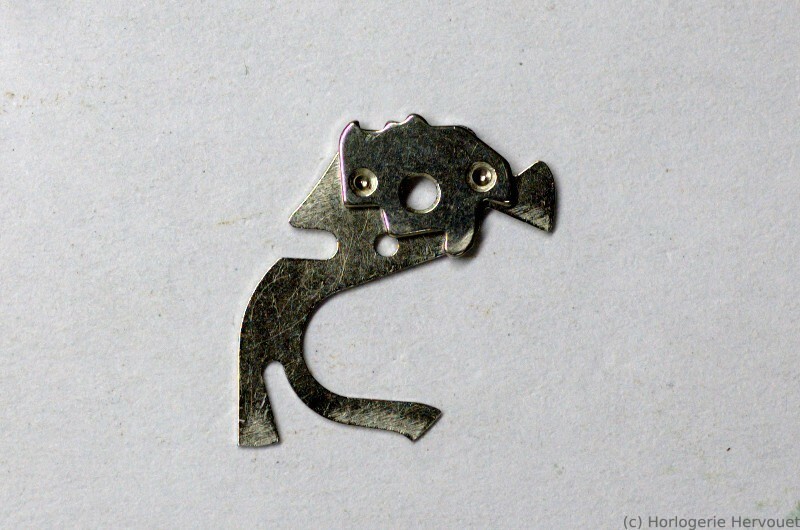 The first soviet attempts were based on existing designs, bought and locally produced. 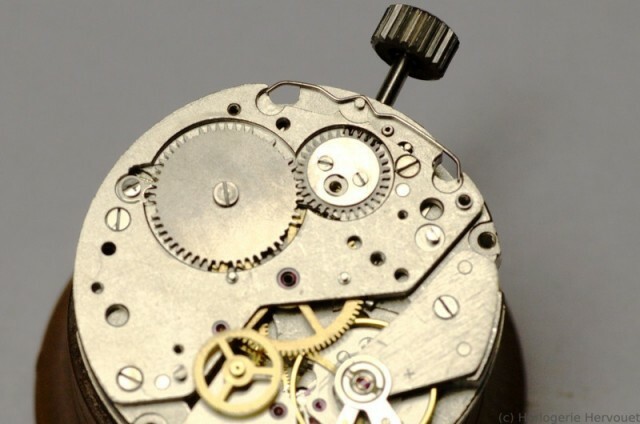 But contrary to a popular belief, they did not only copy western technology or produce only low-grade movements, they also developed original designs. usually an autowind module is added to a base caliber, this is not the case here. 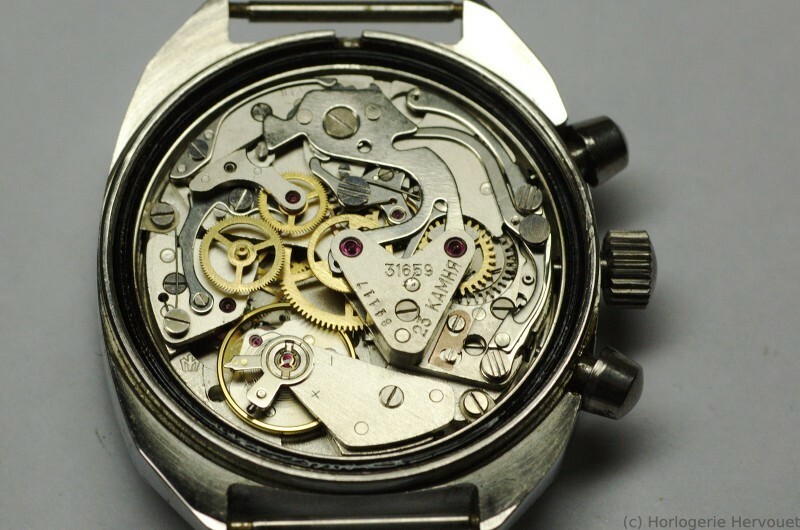 We can see that the autowind geartrain is on the same level as the rest of the watch. the pallet fork is not straight to also gain a little height. 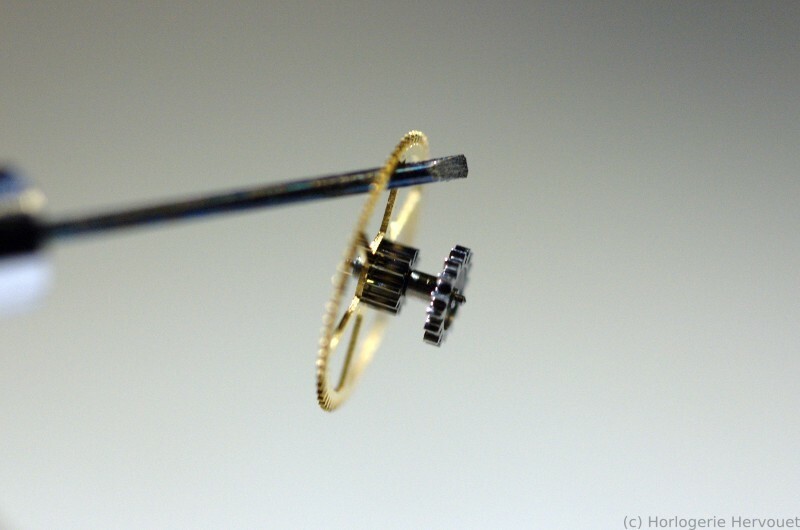 The coupling between mainspring, autowind gears and handwind gears is also nicely done, allowing the watch to be winded by hand: a two-stage ratchet wheel is mounted atop the mainspring barrel. 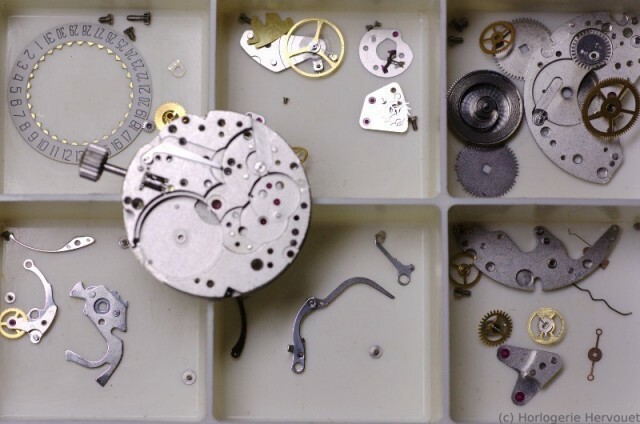 The thinness of the movement allowed it to be found in the slim dresswatches of the era, mostly in the Poljot “De Luxe”. The “Kocmoc” (cosmos) model is probably the only pointer date watch of the Soviet production. 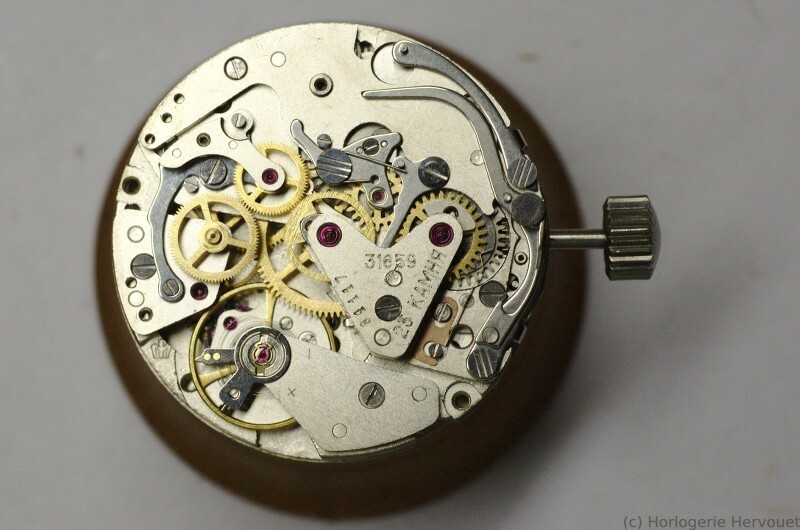 It is often found in gold plated cases but this one is made from stainless steel (probably a case replacement). Such cases were mostly made for the export market, however the case back bears a cyrillic dedication from 1972. 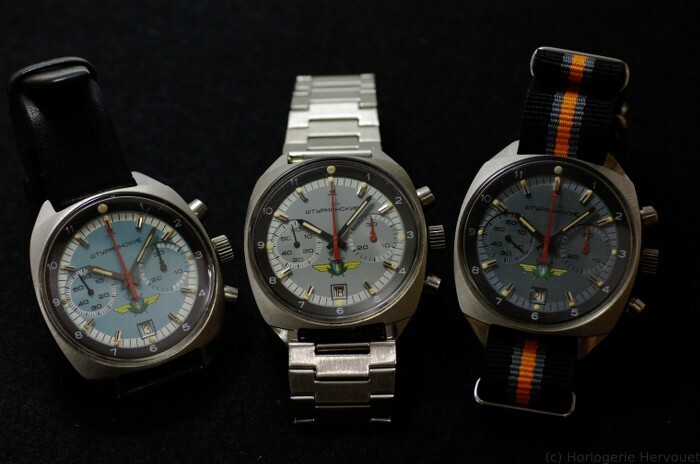 The production of the 2416 family ended in the beginning of the 1970s, after only one decade. 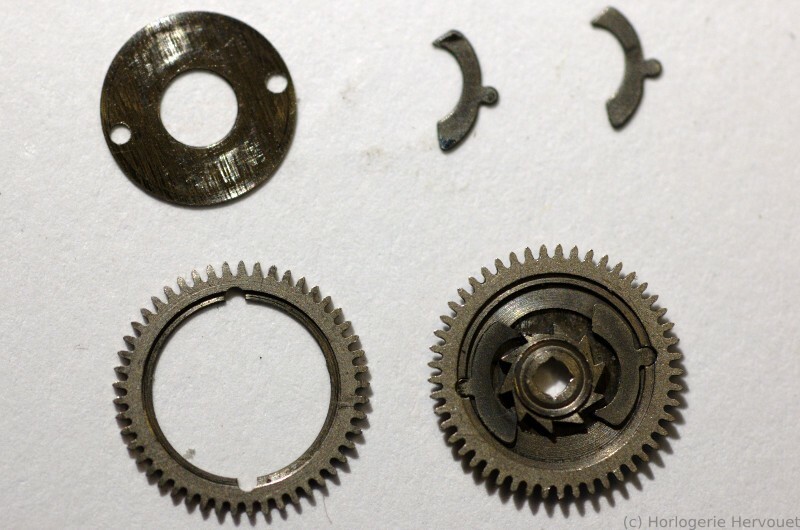 The ratchet wheel somehow lost 12 teeth, of course some of them found their way into the gear train and blocked the watch. A very uncommon mishap! The steel used to make the wheel may have been too hardened? 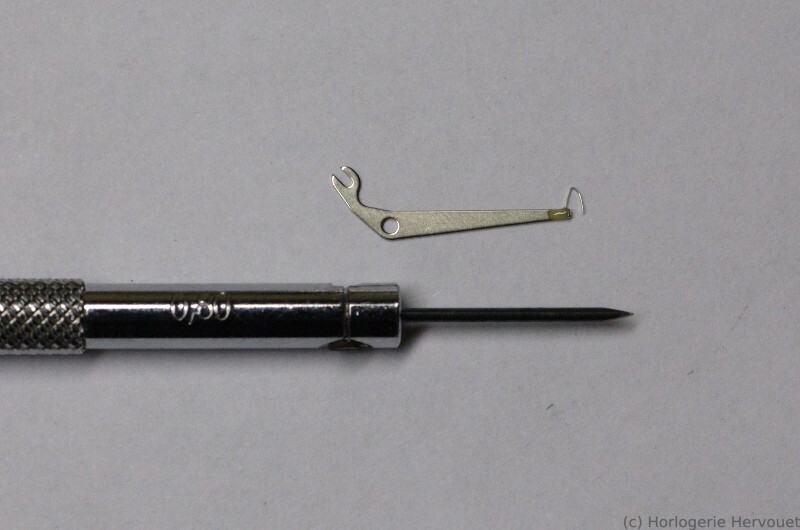 Anyway, this is impossible to repair, so I had to find a replacement. 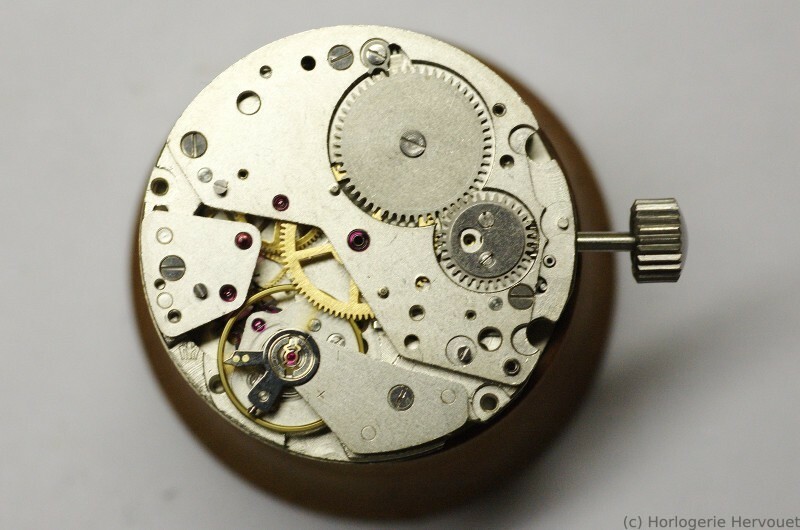 The bare movement in a chronograph can be quite simple, this is the case : a 21600 bph watch, big diameter, small seconds. All good for simplicity and accuracy. We can see from left to right : driving wheel and coupling clutch, chronograph bridge with seconds and minute counter, sliding gear and the command levers (start/stop and reset). Lots of screws, do not mistake a simple screw for an eccentric. 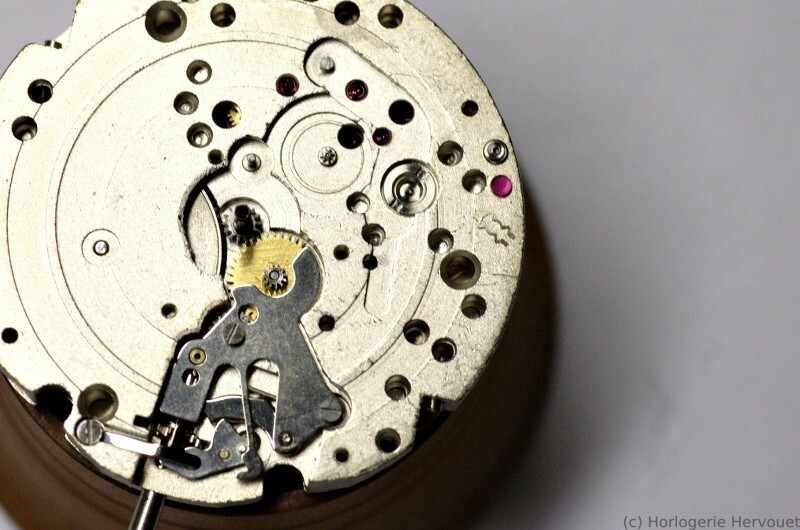 More parts on the dial side! Note: This chronograph does look like a Valjoux 7734, but it is different: small balance and higher bph, different jewel count, and I did not try to mix parts but I bet that most are not interchangeable. 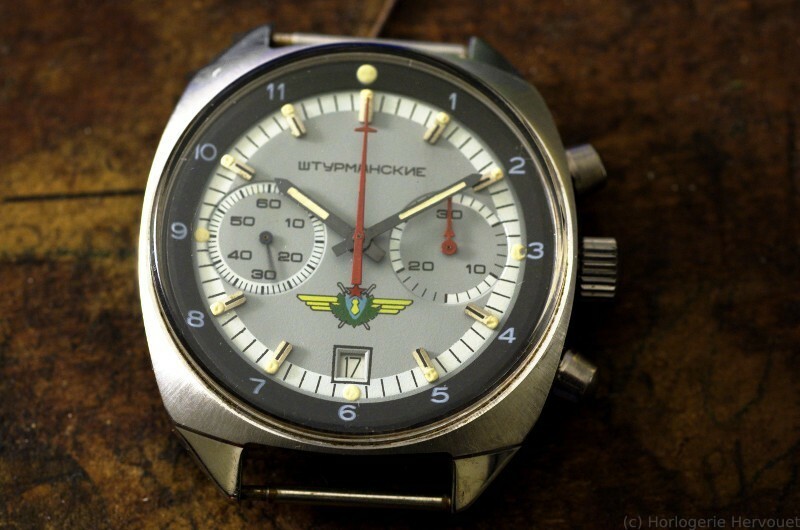 The Soviet obviously based their design on the 7734 but this is not a carbon copy! The “Sturmanskie” (Штурманские, Russian for navigator) was a Soviet Airforce issued watch, never available to the general public. 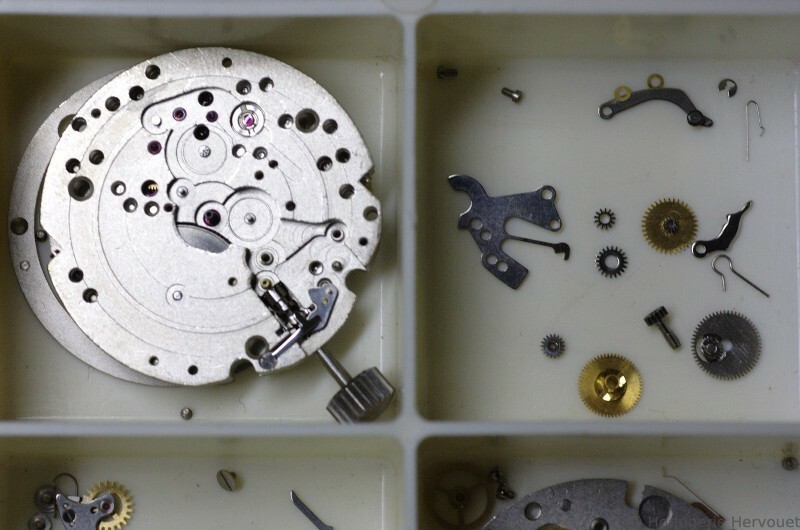 The movement was made in the 1st Moscow Watch Factory, named “Kirov” after the famous prewar soviet Party member, and after the 1960s well knowed as the Poljot (Russian for flight) factory. 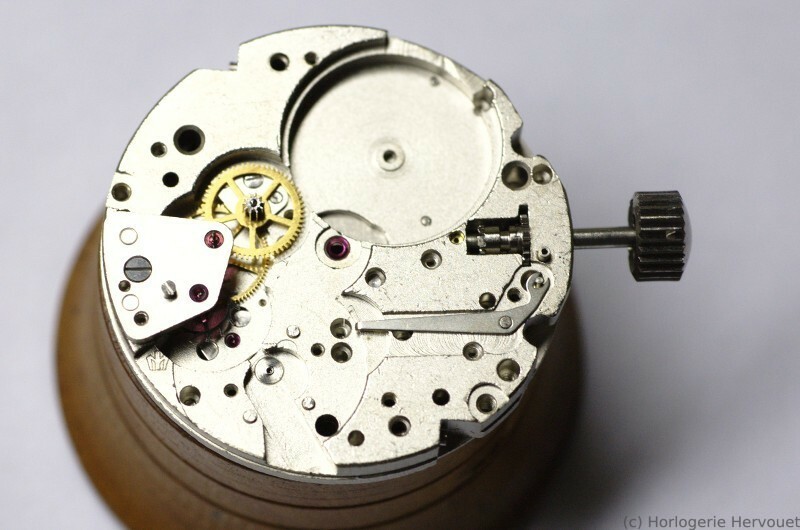 At first, in the 1950s it was a simple watch with a hacking function. 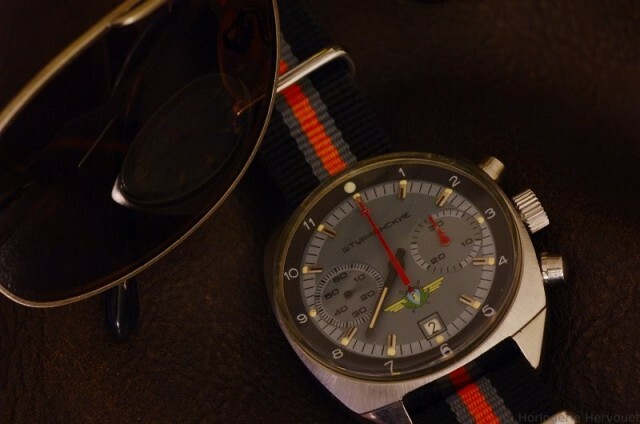 The name was reused in the early 1980s to name an all steel chronograph using the well known caliber Poljot 3133. 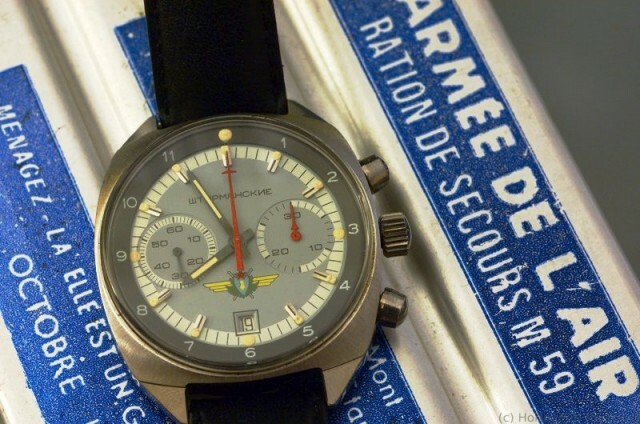 Many civilian versions were made with different dials, always in plated cases. 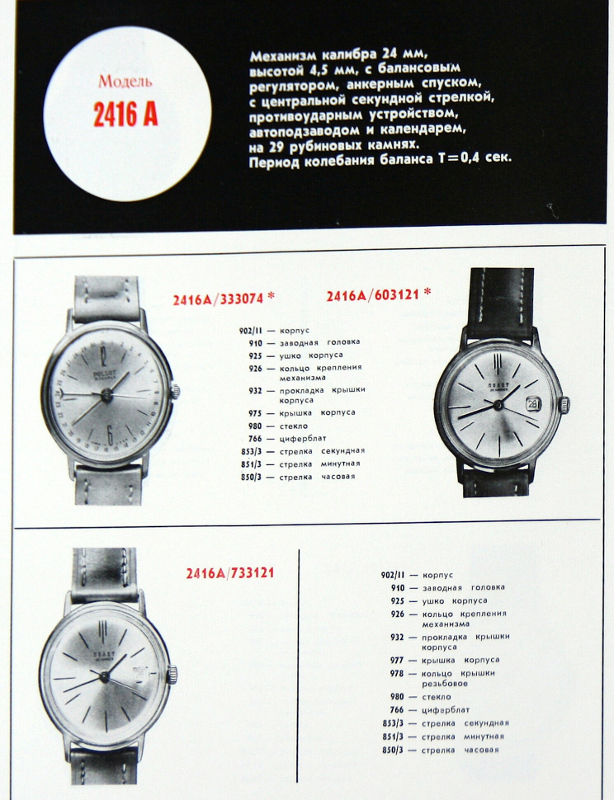 The light grey dial is the most common, made from 1987 to 1991. Civilian versions were made using this dial and plated cases. The all grey dial was made only in 1987, the movement having a date stamp. 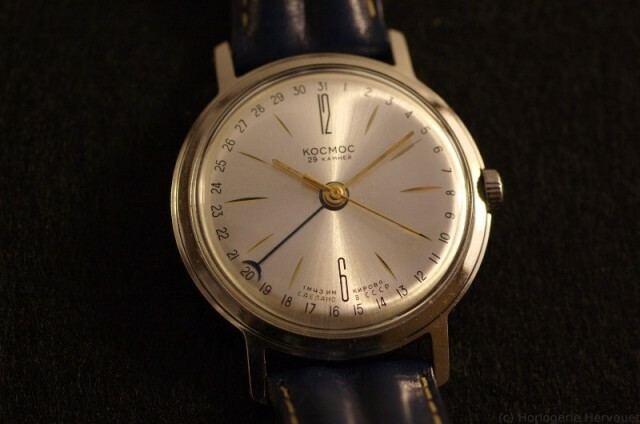 The light blue/turquoise dial is even less common, made around 1989.